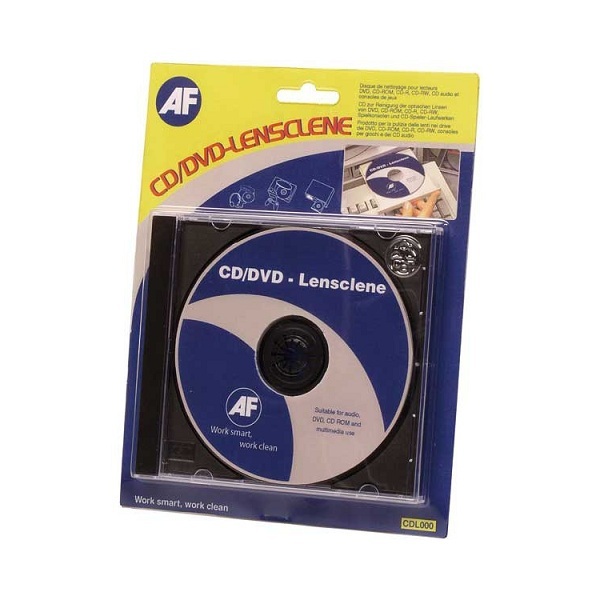 To prolong the life of your CD and DVD optical heads and to ensure the integrity of sound and data AF have developed products specifically to maintain your machines’ performance. Products are simple and quick to use, just insert into the relevant drive and follow the sound and screen instructions. 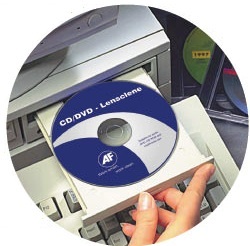 A disk fitted with micro brushes for the safe cleaning of CD/DVD drives. Insert into drive as a normal CD/DVD. Automatic 5 second cleaning cycle. Voice instruction for multimedia and audio systems. Removes dust and debris from optical lenses. Safe to use on all CD-ROM, CD-R, CD-RW drives, game consoles, DVD and audio CD drives. 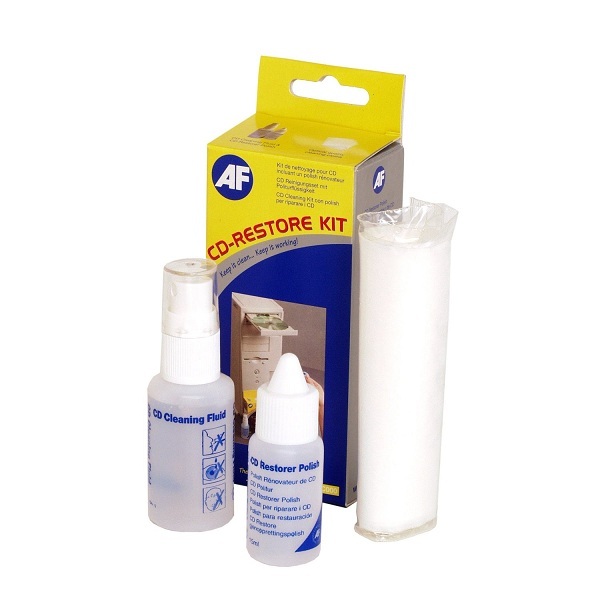 This kit cleans and restores your CD/DVDs. Removes dirt, fingerprints and grease. Kit contains 15ml bottle of restoring polish to remove light scratches, 30ml pump spray of cleaning fluid and 10 pure cotton cloths.